If you consider yourself more of a developer than a designer, and would like to develop an app completely by yourself, you might feel overwhelmed by some of the graphical and design challenges in your way. This is especially true for iOS apps, as the Apple review process is known for setting the bar high. Luckily there are tools and resources to help you out! Check out some of the cool ones below. This unofficial documentation collects up-to-date device information about all iPhone and iPad models, app icon requirements and more. If you are looking for a solid understanding of the basic iOS design concepts, you won’t be disappointed. The author promises to update the guide as soon as iOS 9 is officially out, which is good to know even if this time no major design changes are expected. Your app icon is now ready and adheres to all the standards. Now you are going to need it in several sizes and of course, preparing them manually would take ages. But you can also use a service such as makeappicon which will automatically generate all the required sizes from the largest one. In addition, you’ll get a nice preview on a device screen so you can convince yourself that your icon indeed looks great. 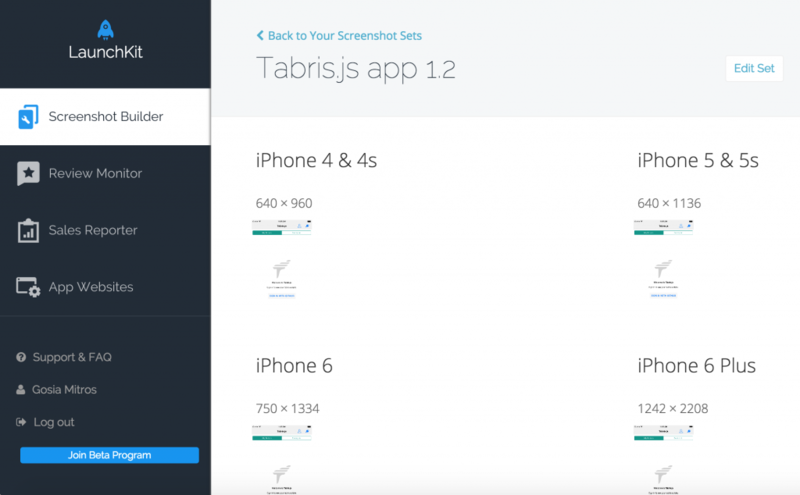 We’ve already written about how you can use makeappicon’s output files to brand your Tabris.js app. These screenshots might be slightly less accurate since you didn’t take them on an actual device or in a simulator, but you do get to save a lot of time. If you prefer a more advanced solution, take a look at Snapshot. This gem will take all the screenshots directly by running your Xcode project, making sure they are perfectly accurate for each device. Thanks for reading, and I hope this article has covered some of your bases for iOS design and graphics related resources. Please let me know what are your must-haves in the comments below.